Emerging artist Peter Barnitz returns to TEN Gallery with AFTER THE DUST SETTLES, a dynamic collection of new mixed-media paintings on canvas, centered on ideas of healing and new life. Minimal yet full of life, the paintings choreograph geometric structure with visceral gesture to form a Balanchine-esque ballet of concentration, patience, poise and the human spirit. The combination of these values encourage a contemplative, tranquil and balanced response, where the onlooker is engulfed in a cloud of networks, persuading them to explore the surface and yield to their own understanding. 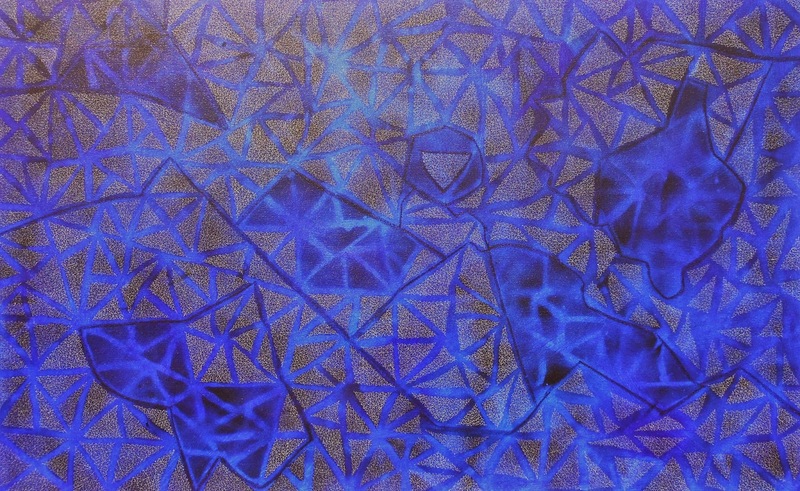 The paintings are composed of complex multiple layered patterns using lines, planes and brushwork, which prompt a tango between the foreground and the background and encourage a dialogue between organic forms, geometric structure, and abstract landscapes. Peter Barnitz received his B.F.A from Loyola University of New Orleans in 2004 and earned his M.F.A. in Sculpture and Painting from the University of New Orleans in 2011. In 2012, he established the Barnitz Academy of Fine Arts, where he instructs art workshops for children and adults. He is a collective member of TEN Gallery and currently works as the artist-in-residence at Kenner Discovery Health Sciences Academy. In 2014, Mr. Barnitz was appointed by Mayor Mike Yenni as an inaugural member of the Kenner Rivertown Arts Council, where he serves as the Vice Chairman. 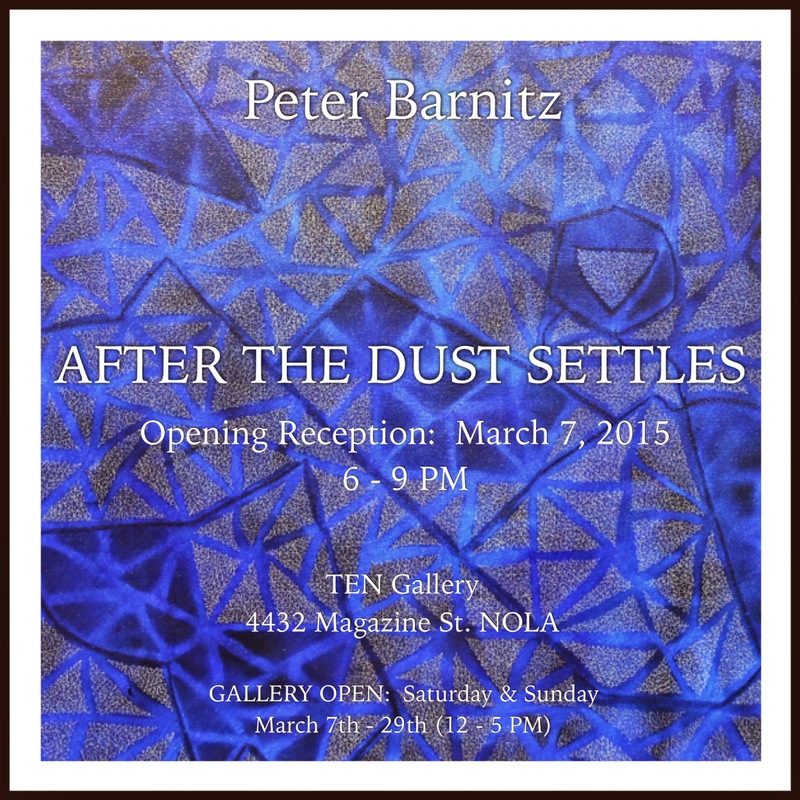 Mr. Barnitz was born and raised in Metairie, LA and currently lives and works out of his home studio in Kenner, LA.